It all started with a protest on a Facebook page for Khaled Said, said to be killed by the Egyptian police (denied by the government). Organized on Facebook, and spread through viral marketing; the Egyptian revolution is the first of its size that takes full advantage of social networks. When we talk about a revolution, we talk about Leaders; and real leaders have followers. ..So what better place than Twitter for an online revolution? This time around, it is not only the journalists that the government fears. No. This time around, the torch of freedom is held by bloggers, twitter users and social media community leaders such as @Sandmonkey and Google Marketing Manager Wael Ghoneim. 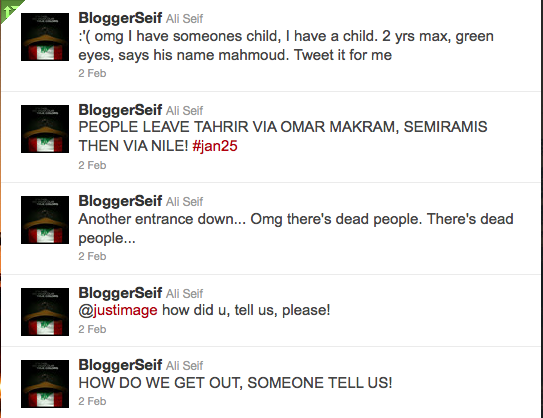 No wonder the internet got disrupted in Egypt following the #Jan25 revolution. This comes only to attest on the great role the techsavvy youth is playing in this upheaval. TO think that this all started on Facebook is MINDBLOWING! wow..I don't think we even understand the power of this medium. :) indeed; "power" is the word.